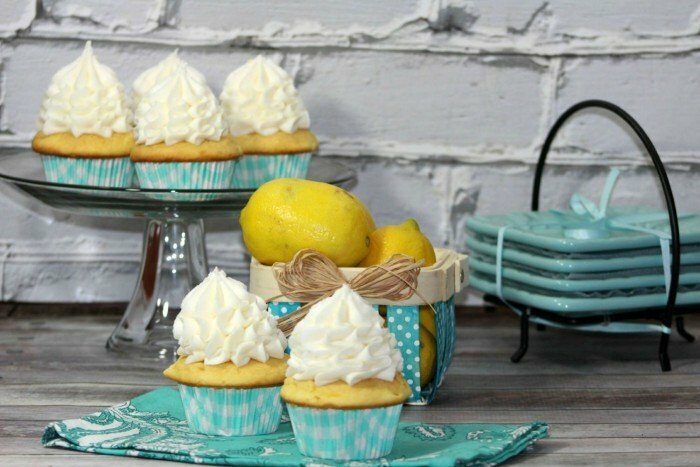 I love dessert and this Easy Lemon Cupcake Recipe is a perfect way to enjoy a sweet treat that is bright, light and delightful! For me, lemon cake or cupcakes always remind me of my grandpa. He loved a lemon bundt cake, and in his last year of life I often made them for him since he had little appetite for any regular food. My friend Amber made these light and delicious cupcakes for me and I knew I had to share them with you. I love a nice light and moist cupcake, and this recipe is that. Using a bit of lemon juice and lemon zest gives this the bright flavor I am looking for, but not overwhelmingly. 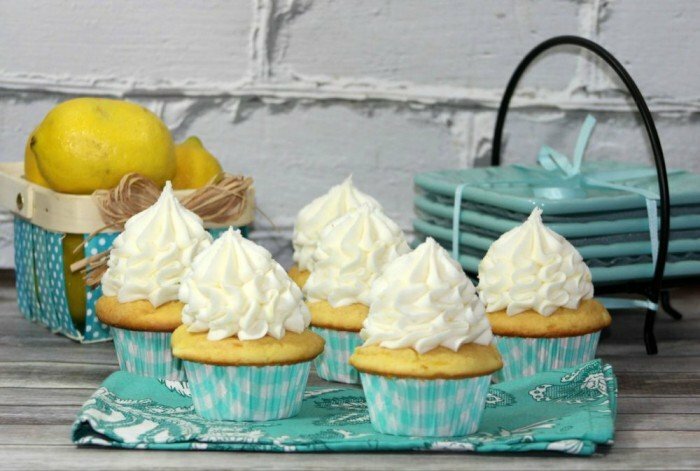 I love this easy lemon cupcake recipe because it reminds me of my grandpa and happy memories of him. I am sure you will love it because it is truly delightful! This recipe is much easier than I expected for a homemade recipe. While it has a few ingredients, the overall process is pretty simple. I love the addition of buttermilk as it adds just the right kick you need to make the lemon pop in these cupcakes. The batter is so much easier to make when you use a Kitchen Aid Mixer like ours. 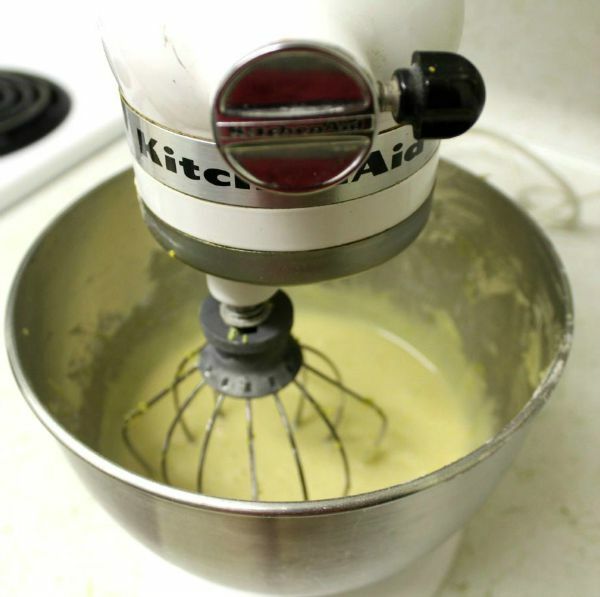 Any mixer will work, but it is super easy when you use a stand mixer. Line either regular or mini sized cupcake tins. In a large mixing bowl, whisk the flour, baking powder and salt together. Place this to the side. In a separate mixing bowl, blend butter and your lemon sugar until well combined. Begin to add eggs, one at a time and beat until well mixed. Now add half of the flour mix to the butter mix and mix until just combined. Now add half of buttermilk and mix until just combined. Finally add remaining half of flour mixture, buttermilk and lemon juice. Remove cake from pans and cool on wire racks. 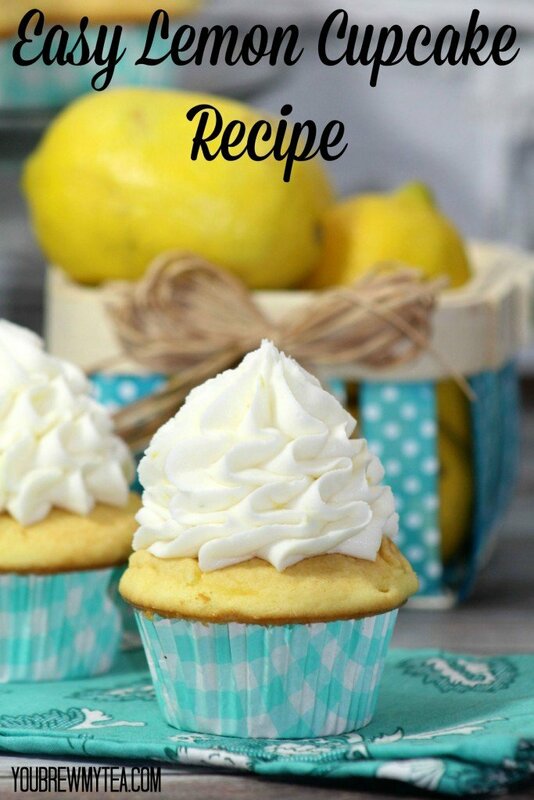 I love cupcakes, and I know you’ll love this easy lemon cupcake recipe! Get your kids to help you with this recipe. It’s a delicious treat your entire family will love seeing come out of the oven! We like full sized cupcakes, but mini cupcakes with our delicious Lemon Cream Cheese Frosting are perfect for a delicate tea party! This is one of our favorite recipes, but don’t miss some of our other yummy desserts! Oh my-your cupcakes look so scrumptious! I too love all thing lemon! Definitely trying your recipe! Thank you so much for sharing at the Wonderful Wednesday Blog Hop! Your cupcakes look dreamy! Thank you for sharing them with us at Brag About It! Have a great weekend! Love desserts with lemons. My lemons are coming in soon and I will be making these. Oh my – these look amazing! I love lemon, and lemon cream cheese frosting?! I can’t imagine how good that is. Thanks for sharing with us at Dream. Create. Inspire. Link. I love lemon so much! Especially in the summertime! Thank you for this recipe! I love buttermilk too. I have to make my own (more lemon juice!) because I can’t find it here in France. Lemons and Buttermilk— yummers! I’m going to be Pinning and will be trying. This looks wonderful! I love lemon…so fresh tasting. Thanks for sharing on Merry Monday. Pinned. These look so yummy!! My husband is a huge lemon anything fan so we will be giving this recipe a try for sure. Sharing on Google+, Tweeting, and Pinning. Thank you for linking up with Inspire Me Monday. Have a wonderful weekend!! There are so many cupcake recipes out there that you think they would be easy to make but I tell you what, that’s simply not true. These look SUPER easy and of course delicious! Thanks for linking up with Delicious Dishes Recipe Party!